The creator must have created tea taking into account the ramifications of the journey of life that begins every day. What better way to start your day than sip a warm cup of the ambrosia? However, when most people finish their tea, they toss the used tea bags into the trash with little thought. After all, what could you do with a used tea bag? It turns out there are actually quite a few things you can do with used tea bags. Keep reading to learn, why you might want to pause before tossing them in the trash. 1. Tea adds nutrients to the soil. Tea contains Tannic acid and nutrients that are natural fertilizers for the garden. The natural tannic acid inside tea leaves leaches into the soil with rainwater as tea grounds decompose. Good quality tea bags are made from the fiber of the abaca leaf stalk. As the tea leaves decompose they release nutrients into the soil creating a healthier growing environment. Be sure to remove the metal pins before forging those bags in the soil. Keep those bugs away from eating up on your hard work. 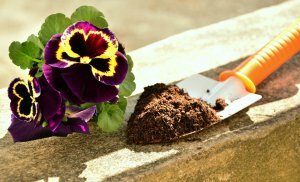 Bury used tea bags and the coffee grounds around your flowering plants and vegetable garden to eliminate pests. Spent tea bags are also fresh nitrogen for your garden. Other nitrogen-rich materials consist of food scraps, fruit and vegetable cuttings, coffee grounds, grass clippings etc. Bury your tea bag near the roots of your plant, flowers, and veggies to help the plant retain more water and stay healthier. When you buried tea bag in the garden they can help impede the growth of weeds which means less work for you. 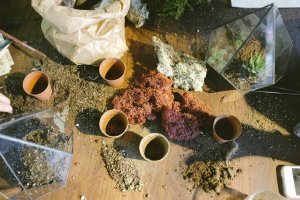 Believe it or not, you can grow your own garden with used tea bags, seeds, a plastic tray, water and a paper towel. Germinate your seeds with the tea bags and then plant them in the garden. 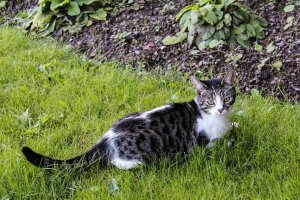 This is a seriously frustrating problem for many gardeners because cats often stray into gardens, where they can mess around. Sprinkle coffee grounds or used tea bags around your garden to keep puffy from urinating on your favorite plants. 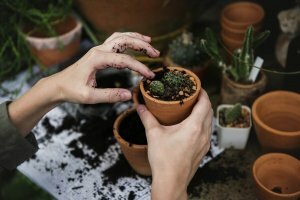 A must try technique for indoor plants too. 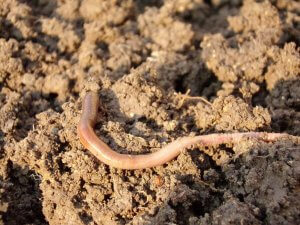 Worms can safely consume tea leaves. Once they digest the leaves they produced more nutrients rich output making your soil healthier for growing plants. Sprinkle new or used tea leaves (loose or in tea bags) around your rose bushes and cover with mulch to give them a midsummer boost. When you water the plants, the nutrients from the tea will be released into the soil, spurring growth. Roses love the tannic acid that occurs naturally in tea. Your lovely ferns will surprise you with healthy and greener leaves. Schedule an occasional tea time for your ferns and other acid-loving houseplants. Substitute brewed tea when watering the plants. Or work wet tea leaves into the soil around the plants to give them a lush, luxuriant look. For healthier potted plants, place a few used tea bags on top of the drainage layer at the bottom of the planter before potting. The tea bags will retain water and leach nutrients into the soil. 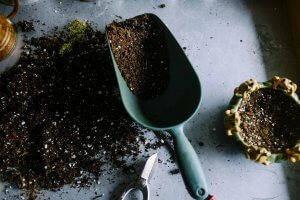 To speed up the decomposition process and enrich your compost, pour a few cups of strongly brewed tea into the heap. The liquid tea will hasten decomposition and draw acid-producing bacteria, creating desirable acid-rich compost. The materials needed are basic. All you need is some lightweight fabric, cotton thread, and loose tea. 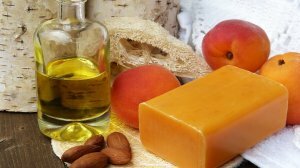 Use can use cheesecloth, muslin or any other lightweight fabric you have around. Just be sure it’s clean and untreated. Start with a 6″ square of fabric. Place about 1-2 Tbsp of tea (depending on what kind you use) at the top center. Begin rolling the fabric until you finish with the end in the middle. Fold the roll in half and secure with a 12″ piece of cotton thread. Wrap it around and knot it tightly a few times to make sure it is secure. Your DIY tea bag is ready for the gift box. If you love to decorate your house with mirrors like I do; then it’s important they sparkle and shine. Just brew a pot of strong tea, let it cool, and then use it to clean the mirrors. Dampen a soft cloth in the tea and wipe it all over the surface of the mirrors. Then buff with a soft, dry cloth for a sparkly, streak-free shine. To ease a toothache or other mouth pain, rinse your mouth with a cup of hot peppermint tea mixed with a pinch or two of salt. Peppermint is an antiseptic and contains menthol, which alleviates pain on contact with skin surfaces. 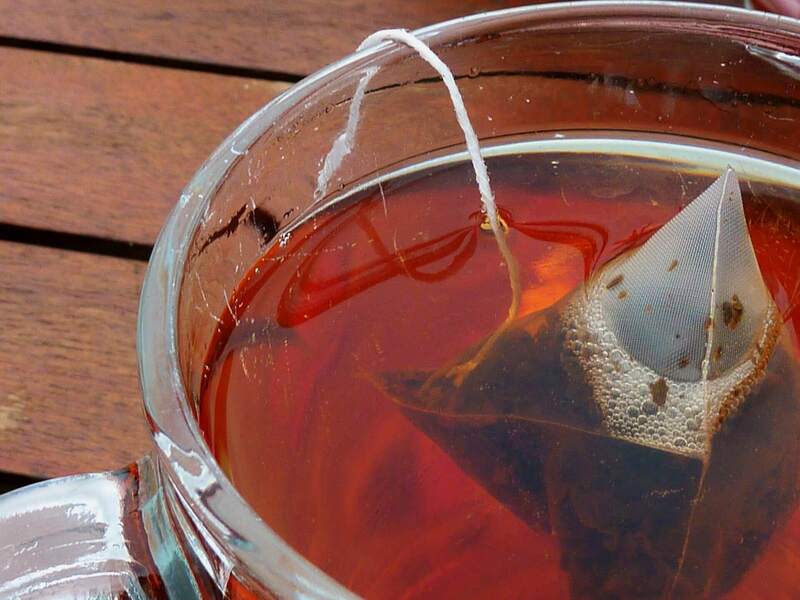 Drain a boil with a boiled tea bag! 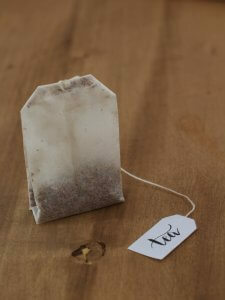 Cover a boil with a wet tea bag overnight and the boil should drain without pain by the time you wake up next morning. Voila! Put an end to smelly feet by giving them a daily tea bath. 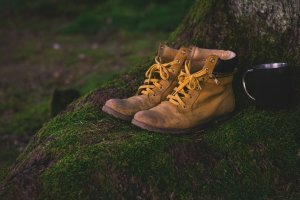 Just soak your footsie in strongly brewed tea for 20 minutes a day and say goodbye to offensive odors. Tea also contains polyphenols which reduce the redness. The catechins in the tea prevent and repair skin damage caused by the sun. Have you ever reused tea bags in your home and garden?